Recently I met with Dorothy and her only daughter Linda. Dorothy was recently hospitalized and may require skilled nursing care in the near future and they were concerned with how they would pay for that level of care. Our office has found that in Santa Clara County a skilled nursing facility costs approximately $8,000 to $16,000 a month. Dorothy has a family home valued at $1,200,000 but $100,000 still outstanding on the mortgage. Dorothy also has approximately $100,000 in checking and brokerage accounts. 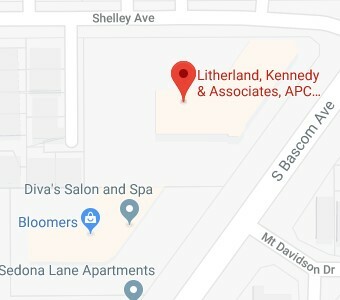 When I brought up the possibility of Medi-Cal helping Dorothy pay for the skilled nursing facility, both Dorothy and Linda were skeptical. 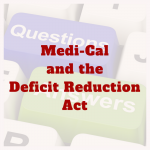 Linda exclaimed that “Dorothy is not flat broke… she will not qualify for Medi-Cal.” I shared that I understand that reaction as I hear it often, but there are some assets that are exempt for Medi-Cal eligibility purposes, including the family home. This means that in California owning a family home (of any value) will not result in Medi-Cal disqualification. Other than exempt assets, such as the family home, the Medi-Cal recipient is only allowed to retain $2,000 in assets. Therefore, Dorothy would need to do something with the $100,000 in checking and brokerage accounts before she could qualify for Medi-Cal. 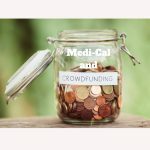 Making a gift of the $100,000 to Linda, for example, would result in Dorothy being disqualified from receiving Medi-Cal, due to the 30-month look back rule that exists to deter people from giving away their assets in order to quality for Medi-Cal. 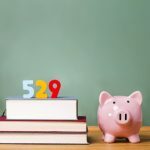 The 30-month look back rule states that any gifts within the 30-months immediately preceding the Medi-Cal application may result in disqualification from Medi-Cal for up to 30-months. One strategy for becoming Medi-Cal Eligible is for Dorothy to apply the disqualifying $100,000 in checking and brokerage accounts to pay off the $100,000 mortgage on Dorothy’s family home. Paying off Dorothy’s existing debt, such as her mortgage, is not a gift and does not result in Medi-Cal disqualification. 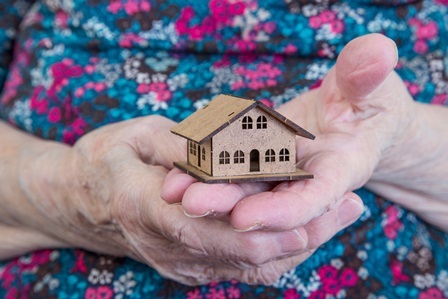 Implementing this strategy accomplishes the goal of allowing Dorothy to be eligible for Medi-Cal while increasing the value of the family home, a Medi-Cal exempt asset. Caution: paying off another person’s mortgage would be treated as a gift to that person, so Dorothy could not pay off Linda’s mortgage without being disqualified from Medi-Cal. Thinking About Selling the Family Home? What if Dorothy wanted to sell the family home? If Dorothy received the sale proceeds of $1,200,000 in cash, she would be no longer be eligible for Medi-Cal. While the family home is an exempt asset, the sale proceeds are not. To address this situation, I recommended that Dorothy create a Family Discretionary Trust and title the family home in the name of that Family Discretionary Trust prior to selling. Then if/when the family home is sold, the proceeds will be payable to the Family Discretionary Trust. 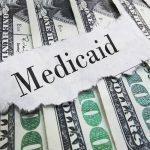 With the sale proceeds held in the Family Discretionary Trust, the sale proceeds are not Dorothy’s and Dorothy would remain eligible for Medi-Cal. The Family Discretionary Trust is an Irrevocable Trust used for Medi-Cal planning purposes. 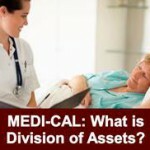 As the Medi-Cal recipient often has little to no access to the assets held within the Family Discretionary Trust, the assets held within the Family Discretionary Trust do not cause the Medi-Cal recipient to be disqualified from receiving Medi-Cal. While the Family Discretionary Trust may work well for some clients, for other clients it may not be the best solution. That is why I recommend that you consult with an estate planning attorney before selling the family home when you are concerned about Medi-Cal eligibility. Our office regularly offers free workshops on Medi-Cal Planning. For more information, click here.